The J.R. Smith era will continue in Cleveland. Smith has been twisting in the wind after opting out of the last year of his previous deal, leaving roughly $6.4 million on the table. Though there have been reports that he’s fielded lucrative offers from other teams while also keeping in contact with the Cavaliers, the time that has elapsed during his free-agency period was staggering in its length. There was never any doubt he would end up with a contract, nor did it ever seem like he was truly in danger of leaving the Cavaliers. There were really only two questions: When would he return to Cleveland, and how much of a pay cut would he accept to do so? Additional details began trickling out shortly thereafter. 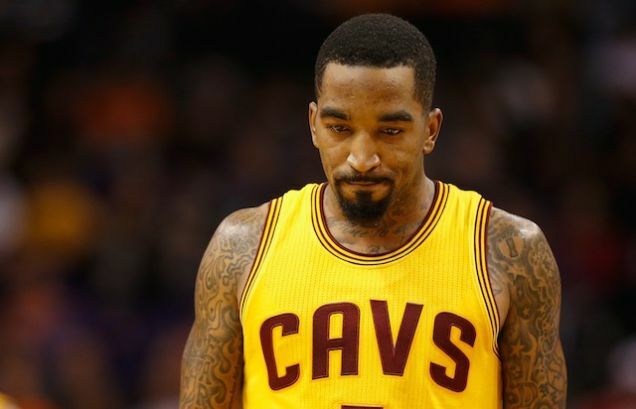 J.R. Smith also has a no-trade clause, I'm told. It makes sense for the Cavaliers to comply with that request, assuming it was Smith’s party that asked for the no-trade clause. The veteran chucker complemented LeBron James nicely as a spot-up shooter during his brief stint in Cleveland last season, and while he can be a barrel of drama, the Cavaliers weren’t going to find anyone to legitimately replace him. And because this isn’t a five-year deal, the risk is minimal if Smith flames out. At worst, he’s a disaster and the Cavaliers cannot trade him, but they’ll be done with him no later than 2017. Opting out remains a questionable decision on Smith’s behalf. He’s now earning less than he was initially slated to, and he didn’t secure a long-term contract ahead of the salary-cap boon when one of his selling points was supposed to be that he would, in fact, sign a long-term pact ahead of that salary-cap boon. Still, he nabbed $3.6 million more in guaranteed money over the life of his deal. It isn’t a lot, but it’s additional security. Now we just have to wait and see if Smith has a 2015-16 campaign worth a bigger payday next summer.